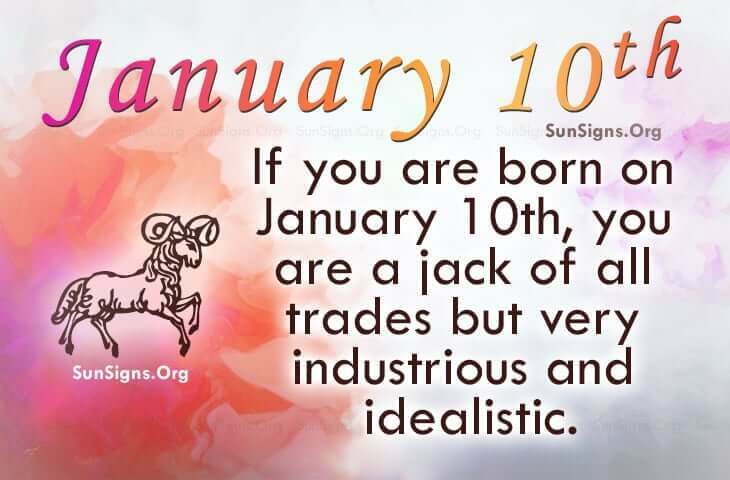 If you share your birthday with some famous people born on January 10, then you may be a Capricorn who is somewhat of a Jack of all Trades. Deciding on a career based on this can be hard for famous people born on 10th January. But remember what you wanted to be as a child and go from there. Just so you know you’re the author of your book. You can make it fun to read as well as exciting. Typically, famous people born on January 10th love money and what it can buy. However, it’s not everything. They should try taking a risk or two like enjoying the simple pleasures in life or falling in love. As a downfall, famous people born on 10 January are blunt and have a tendency to be bitter. Being open and candid is one thing, but to hurt other people is another thing. It is always better to be nice and considerate of others. They can’t afford to hold a grudge as it could affect their health. Try a little tenderness instead. The famous birthday horoscope for January 10 individuals suggests that hardworking Capricorns should remember to have fun. Don’t sleep and eat business. Relax… you can trust someone else.